Well this week has been great and I can now announce that the Old Town Lock Up will be open every Saturday morning as from the 9th November 2013. We are also now planning our Christmas grotto for everyone's enjoyment with the aid of lights, baubles and tinsel we will turn the Lock Up into a grotto. Only one major make this week and that is a new ring, I wanted a tartan texture on the two square bowls and the amber cabochon to be offset. This week I am planning a new silver pendant for sale this Christmas. Designed from my idea of the sea it will incorporate drop caste silver, and a half pearl on a background of a fishing net fashioned out of silver. Watch this space for the completed design. I also have a couple of new glass dishes this week and a couple more about to undergo their slump in the kiln. There are also new pendants and one much loved pendant which has now found a new home. 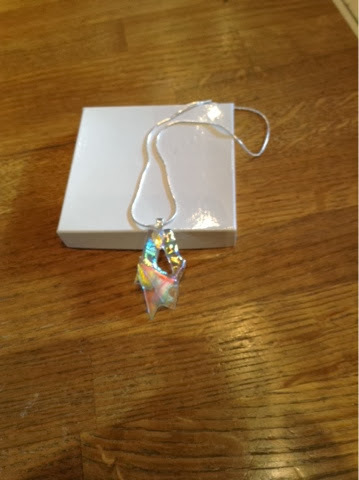 This pendant was made using dichroic glass and it has sterling silver findings. 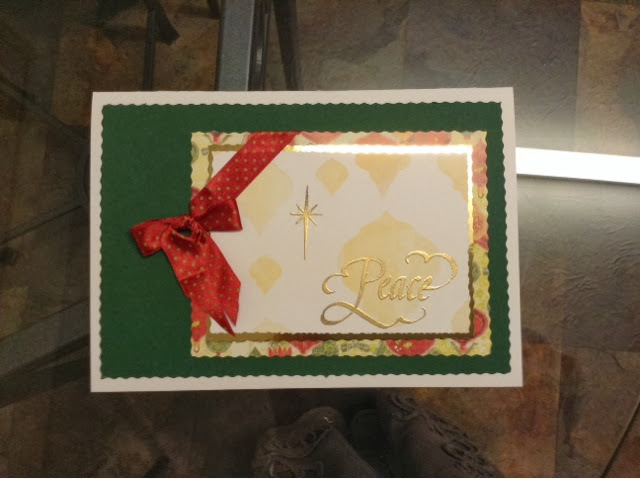 I have started a new hobby,very new but I am taking tiny baby steps on the path to creating cards. I am learning from the incredible Barbara Grey, her tutorials, DVD and blog. I have learnt so much and hopefully will learn enough to tackle a golden wedding anniversary card in the next couple of weeks. Many thanks Barbara for your brilliant lessons.